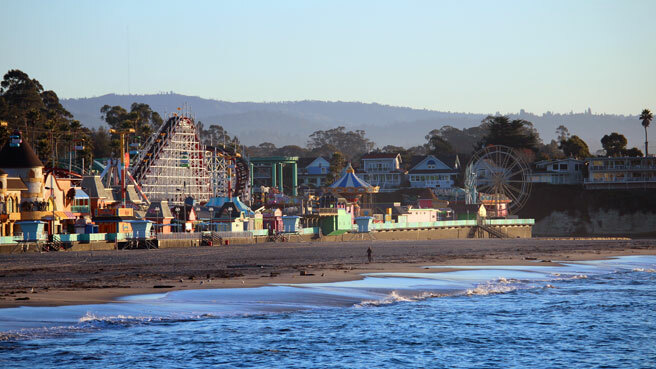 While you’re probably not going to let your baby or toddler ride the world-famous Giant Dipper roller coaster on the Santa Cruz Beach Boardwalk, you’ll still be plenty amused with the arcade, carousel and mini-golf after a day at this scenic beach. One of the two beaches with the moniker “Surf City,” visitors come from all over the world to ride the waves and the coasters. Atmosphere: Santa Cruz is fun and relaxed with a somewhat bohemian beach vibe. This is the place to lay off the Type A attitude and spend a lazy day at the beach, after of course you’ve won a few stuffed animals at the arcade and walked down the Municipal Wharf. 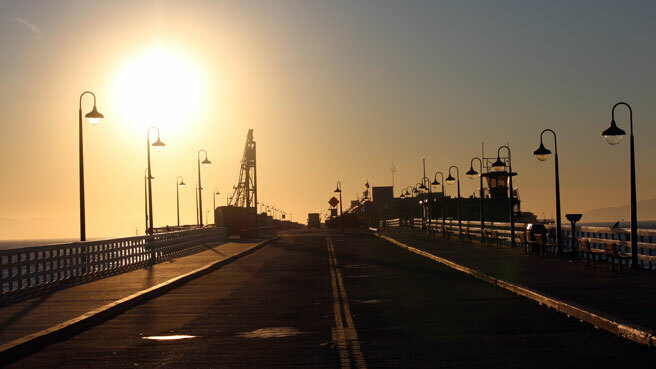 Parking and Entrance: You can park at the Beach Boardwalk lot for a fee, or use some of the other paid or metered parking areas around the beach. There are a few stairs or short ramps down to the beach. Nice Walks and Views: Walk on the Municipal Wharf (a.k.a. the pier) for a cool view of the historic amusement park and the shore. Also, the way the beach is facing makes for an odd sunrise over the Pacific. Activities for Toddlers: The Beach Boardwalk has toddler entertainment galore (and free admission)! No need to get an unlimited pass as there aren’t really enough rides for very small children. The exciting atmosphere and watching the roller coasters may be enough. This would certainly be the time for dad to win the little munchkin her first stuffed gorilla though. Bathrooms: Bathrooms are on the pier, at the foot of the pier and in various locations in the Beach Boardwalk area. Perks for Parents: If you can trade off baby-watching with your spouse, head over to the Giant Dipper to take the wooden coaster for a spin. Built in 1924, it’s the fifth-oldest one in the U.S. Also, surfers take note: it’s a shame to visit here and not bring your board. What Else to Do: Drive through the redwoods to the Mystery Spot, a strange place where the laws of physics seemingly don’t apply. Take a tour (strollers aren’t allowed) and grab a snack at the café. (465 Mystery Spot Rd.) A bit further north in Santa Cruz, be awed by Natural Bridges State Beach, home to a natural bridge and migrating Monarch butterflies.